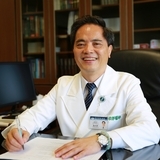 Shinn-Zong (John) Lin, M.D., Ph.D.
Ting HC, Chang CY, Lu KY, Chuang HM, Tsai SF, Huang MH, Liu CA, Lin SZ, Harn HJ (2018) TargetingCellular Stress Mechanisms and Metabolic Homeostasis by Chinese Herbal Drugsfor Neuroprotection. Molecules 23:E259. Fan HC, Chi CS,Chang YK, Tung MC, Lin SZ, Harn HJ (2018) The Molecular Mechanisms of Plant-Derived Compounds Targeting Brain Cancer. Int J Mol Sci 19:E395. Rajamani K, Liu JW,Wu CH, Chiang IT, You DH, Lin SY, Hsieh DK, Lin SZ, Harn HJ, Chiou TW (2017)n-Butylidenephthalide exhibits protection against neurotoxicity throughregulation of tryptophan 2, 3 dioxygenase in spinocerebellar ataxia type 3. Neuropharmacology 117:434-446. Tsai CW, Tsai RT,Liu SP, Chen CS, Tsai MC, Chien SH, Hung HS, Lin SZ, Shyu WC, Fu RH (2017) Neuroprotective Effects of Betulin in Pharmacological and TransgenicCaenorhabditis elegans Models of Parkinson's Disease. Cell Transplant 26:1903-1918. Hsieh J, Liu JW, Harn HJ, Hsueh KW, Rajamani K, Deng YC, Chia CM, Shyu WC, Lin SZ, Chiou TW (2017) HumanOlfactory Ensheathing Cell Transplantation Improves Motor Function in a MouseModel of Type 3 Spinocerebellar Ataxia. Cell Transplant 26:1611-1621.